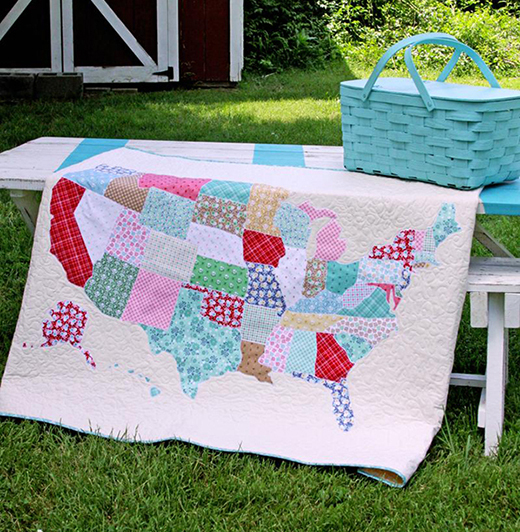 This US Map Quilt is perfect to take along on a road trip! It's covered with a fun map of the US - all appliqued in scrappy, colorful prints. You could even add a little line of embroidery to remember your trip by, or decorate the map with little hearts for places you've visited! This U.S. Map Quilt Created by Flamingo Toes Blog, The Patternis available for free.